Comments Comments Off on Fabric Sofa vs. Leather Sofa – What is better? Sofa shopping is as essential decision for your house. You should always choose a sofa that is ideal for your house and your family. Never compromise on your space. 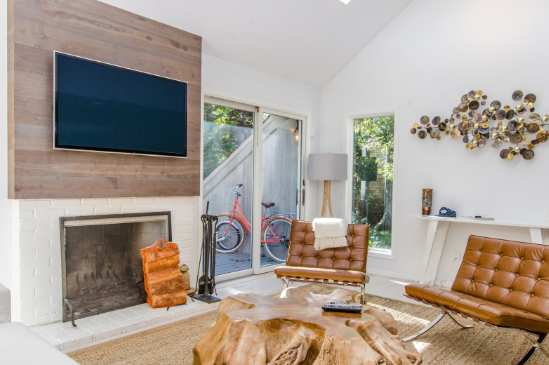 Some of the most prominent sofas in the market include leather sofa and fabric sofa. Nevertheless, it becomes confusing to choose one convenient option. You should always look for the sofa features. These are the two most prominent sofa set options. But you should put an end to the confusion in choosing the right kind of sofa for your house. One of the most important factor that you should consider before buying a sofa is the comfort. If a sofa isn’t comfortable then there is no buying it. Other important factors which you should consider before buying the sofa are the frames, textiles and the quality of cushions. The fabric pieces of the sofa should be pretty comfortable. In such a case, the fabric sofas are more comfortable than the leather sofas. Compared to the fabric, the leather absorbs more heat, thus it isn’t a much preferred. You will feel more heat while sitting on a leather sofa than on a fabric sofa. Thus, if you are considering comfort, you should always choose fabric sofas over leather sofas. Both, leather sofas as well as fabric sofas come with a range of options in colors. Fabrics come in various tones and colors. All of it perfectly fits the décor. However, the only disadvantage is that the colors may fade really soon. If the sofa is extensively used or washed frequently, the color will fade out too soon. Nevertheless, the color of leather furniture is more durable and lasting. The material has a slight sheen, if you are comfortable. Thus, in this case, leather sofas are a better option in this case. The leather sofas add the classic and luxurious touch in your house. It has a sleek appearance. This, definitely will add an elegance in your room. The similar kinds of effects will be achieved using a fabric. Nevertheless, the fabric sofas come in varied range of colors as well as designs. The fabric sofas tend to add a contemporary look in your home. It completely depends upon the kind of fabric you are looking forward to. If you wish to have clean and matte colors, you can choose the fabric with solid colors. If you want a sleek looking sofa, you can choose the leather sofas. Based on the appearance, you will need to completely choose whatever suits your needs. There are many people whoa re allergic and non-allergic to certain things. The leather sofas are hypoallergenic in nature. Thus, it is the most convenient option for people suffering from allergies. Fabric tends to collect more dust and pets and mites. The leather sofas do not gather so much of allergens. 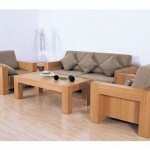 Thus, to maintain the safety you will need to get your fabric sofa cleaned on a regular basis which is quite hectic. It will also include extra charges and time. So, if you want to save the additional charges and time, it is best that you use a leather sofa. To ensure that your sofa lasts long, you will have to take care of it properly. The fabrics usually have varied lifespan based on the quality of the material. The better the quality, the lesser will it get damaged. The higher quality fabrics not only last long, but also prevents stains. You can easily remove the stains on the high-quality fabrics. The products for cleaning fabric are quite cheap thus easily affordable. You can even clean the fabrics using a sponge or a soap. The stains in premium quality fabrics will not be easily removable. Thus, leather sofas would prove to be more efficient. Leather furnitures are however more prone to scratches and damages. 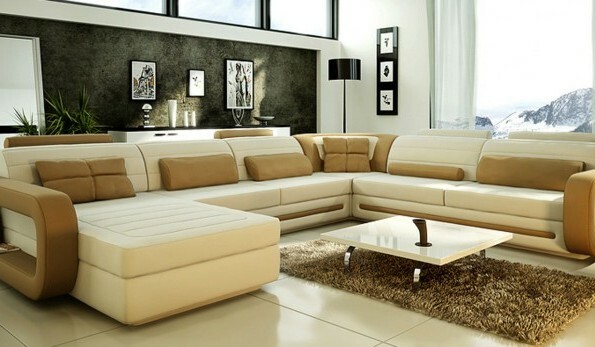 Nevertheless, leather sofas can be easily cleaned. You can even use vacuum on your leather sofas. Although leather is a more convenient option, it can still be prone to damage if you have a pet at home. Either the hair might be stuck on the fabric or the leather must be torn. No matter which sofa you buy, it entirely depends on the quality of the material. The fabric sofas that have high-quality fabric and strong frames will be charged more. The leather sofas too would cost you the approximately same prize. So, before proceeding to buy a furniture, you will need to take into consideration its features, such as comfort, durability and many more. If you have pets at home, you should consider buying durable materials. In that case you will need to pay more. You can consider buying sofas from Bradington Young Leather Furniture since they offer affordable sofa prices. 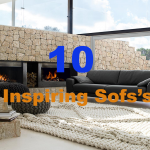 Both, leather sofas as well as fabric sofas have their own merits and demerits. But you will need to choose whatever suits you the best.